Welcome to Pezzo where every pizza has its own unique character and taste. Meet Big Daddy, Meat Munchers or Garlic Chick for a novel way of enjoying some scrumptious tasting pizzas on-the-go. Just so you know, our pizza crafters take utmost pride in tossing, garnishing and baking all the pizzas fresh daily. Oh yes, they will swelter next to the scorching heat of a pizza oven to get it done just right for you! 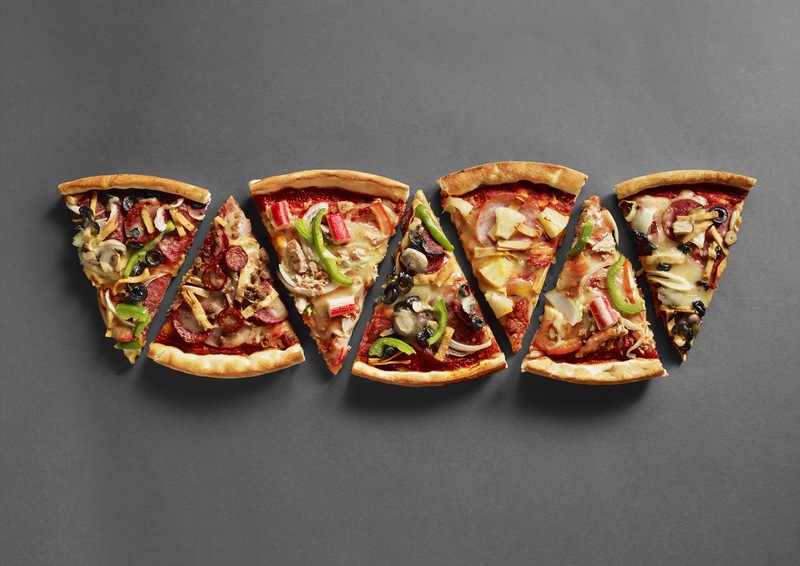 You’ll be delighted to know our lip-smackin’ pizzas come as individual slices so you can choose to just have one slice, or combine slices of different kinds of pizzas to make your meal! And if you have a special request, do let us know. That way, we can keep the fun going just the way you like it! Today, we can be found at 40 outlets (and more coming) around east Malaysia. © 2017 Pezzo Pte Ltd. All rights reserved.